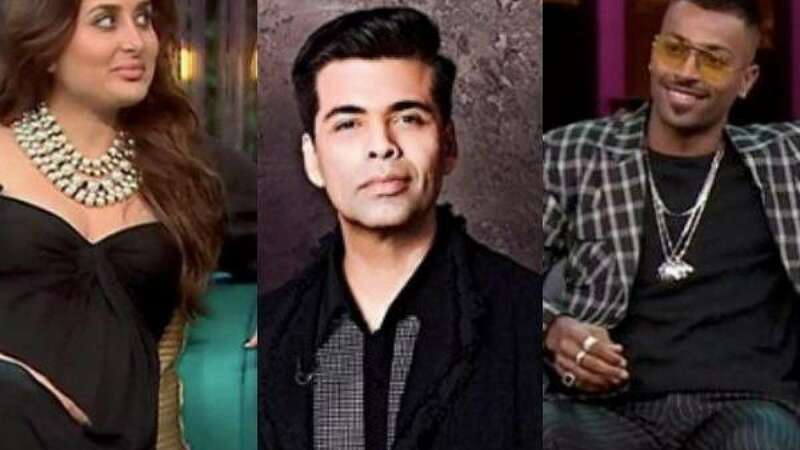 New Delhi : India's popular talk show, 'Koffee with Karan' gets stirred up with controversies quite often. The celebrity host Karan becomes personal with guests in the show which sometimes gets them open up. The latest controversial statement was made by cricketer Hardik Pandya. His remarks over women have created outrage among viewers. Besides Hardik Pandya latest shot, the famous talk show has been a topic of debate for some other scandalous moments. Here are the 10 most controversial statements from all season of Kofee with Karan. Recently, cricketer Hardik Pandya made crass and controversial remarks about women on KWK. Later, he applogised for his statements. "After reflecting on my comments on Koffee with Karan, I would like to apologise to everyone concerned who I may have hurt in any way," he said. In fact, BCCI has banned him for two ODI matches as punishment. Kareena Kapoor came to limelight in the second season of KWK. Kareena Kapoor targeted John Abraham, who was Bipasha Basu’s then-boyfriend. Announcing that she would never work with John Abraham, she called him expressionless. When Bipasha Basu came on the show, she defended John and stated that Kareena had too many expressions on her face. On the third season of KWK, Shah Rukh Khan made a public apology to Salman, to which 'Bhaijaan' said that SRK should have apologised to him personally. When Deepika Padukone and Ranbir Kapoor broke up, the Padmavat actress said “He should work on his boyfriend skills.” She also said on the show that Ranbir should endorse condoms. SRK gave a witty answer when Karan asked a question, “If you woke up one morning and found you had turned into me, you would?”, to which the actor replied that he might not wake up turned into him, but there are chances that he woke up next to him. The filmmaker cracked up after hearing SRK’s reply. Not to forget when the 2 States actress, Alia was asked her for the number of states in India, she replied '20' to which the world could measure her knowledge level. Varun Dhawan failed to maintain the title of 'Student of the Year' when Karan asked him who is the president of India, to which the actor replied Manmohan Singh.